Mike HUCKABY The Versatility EP vinyl at Juno Records. 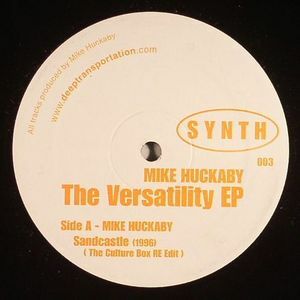 After the warm reception of his Baseline 88-89 release, Huckaby continues to develop his own S Y N T H label with another EP of solid, dubby house music. "Sandcastle" is positively minimal in its construction, with a clean groove decorated only with occasional spurts of delayed atmospherics and a subby bassline, begging to be slid under something else in a similar restrained groove. 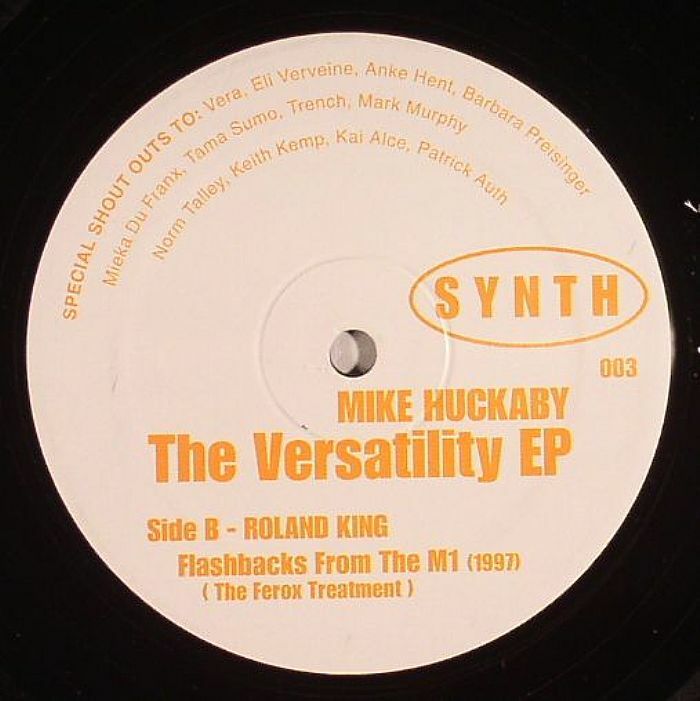 "Flashbacks From The M1" is equally functional, although the moody chord that comes scrabbling through the core of the track lightens the mood somewhat. Either way, these are tracks designed to slowly bleed into their counterparts, albeit without the dryness that comes with brazenly marketed 'DJ tools'.